What’s in your pocket? Lists? Or nails? We are sinners. The Syro-Phoenician woman knew that. (Mark 7:26). The Tax Collector in the temple knew that. (Luke 18:13). Mary knew that. (Luke 1:46). We know we are sinners. No one believes in Jesus Christ the savior unless they see a need in Him. Martyn Lloyd Jones, sermon Isaiah 1:10, Repentance and Salvation. Before we are saved, we are blind to our sin. After the Lord graciously gives us the ability to see ourselves as we are, the scales having fallen off our eyes so to speak, (Acts 9:17-18), we repent of our sins. But that does not mean we stop sinning. We have the Power to resist sin thanks to the Holy Spirit in us, but we still sin. (Matthew 16:24). We will continue to sin until we are glorified. Legalists like the Pharisees to whom Jesus contrasted the Tax Collector, believed they would attain heaven by their good works. This belief is not expired. People believe it to this day. If you watch street pastors Ray Comfort or Todd Friel, when they ask people on the street if they expect to get to heaven and how, the people always respond that they are a good person doing good things so surely they will go to heaven. Having begun by the Spirit, are you now being perfected by the flesh? The notion that sinful, weak human nature could improve on the saving work of the Holy Spirit was ludicrous. 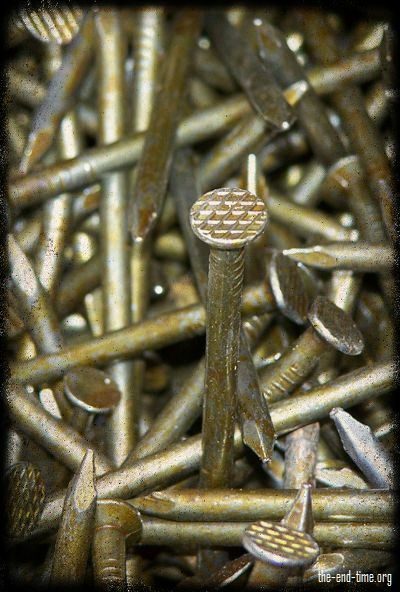 Legalists keep lists in their pockets, while Christians keep nails. What’s in your pocket today? Lists? Or nails? Deuteronomy passage reveals a stupendous God! Thank you so much! SDG. Yes dear Our works are nothing to Christ. We are the filthy rags that we see. Forgiven by grace and are loved because of our faith in the Son. Words you have put forth truth.